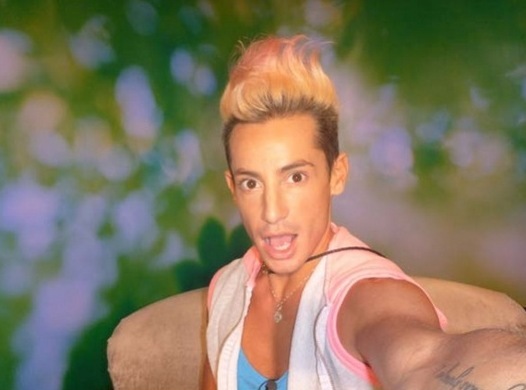 Time for another set of photos and the blog from the Week 5 Head of Household on Big Brother 2014: Frankie Grande. This is an interesting one, as he thinks he has a twist figured out for Big brother 16, but I think he is a little off! It is a nice concept, but is he giving himself too much credit there? Check out the photos and blog below in our Big Brother 2014 spoilers! To be honest, I read his blog and started crying again. I am such a crying mess! However, you can tell Frankie is very close with his family, especially his sister Ariana Grande. How hard for him to stay in the Big Brother 2014 house after his grandfather’s passing, but he hits on all of that in the blog. It is a long read, but a good read. You also get to see some videos of Frankie answering a few questions, so check it out here! OMG he thinks Victoria is a Superfan!! The only way i would believe that is if she took acting lessons from Meryl Streep! She is completely clueless about the game. And Jocasta??? Come on Frankie…do you really believe that these 2 know more about the game than the average person? He needs to rethink his position on his perceived “twist”. Other than that it was a very nice blog. Full of both sadness and happiness. So a nice read. But i’m still ROFL over Victoria being a Superfan! Darn you 2…I never read the hoh blogs. (blocked @ work and forget when i’m home) You 2 make it sound interesting and of course I want to see what twist he came up with. So after I leave work and grocery shop I will be reading his HOH blog. Yeah, that made me laugh too! I didn’t think he was even a SuperFan prior to the show. To my BB online friends. why are we so attracted. but the chat forum regulars make it so real. And where oh where can you find such fair. A great deal of catching up to do. BTW: A gift of down time on CapeCod was fantastic. Does the soul no harm for sure. Welcome back 😀 Lovely poem! Welcome Back, hope you enjoyed your trip! My my Frankie! Just a little conceited there aren’t you? I noticed that too. The other hohs handed the camera around and let others take photos. To be fair though, we don’t know what bb edited to publish. Honestly I do not care for any of the photos.